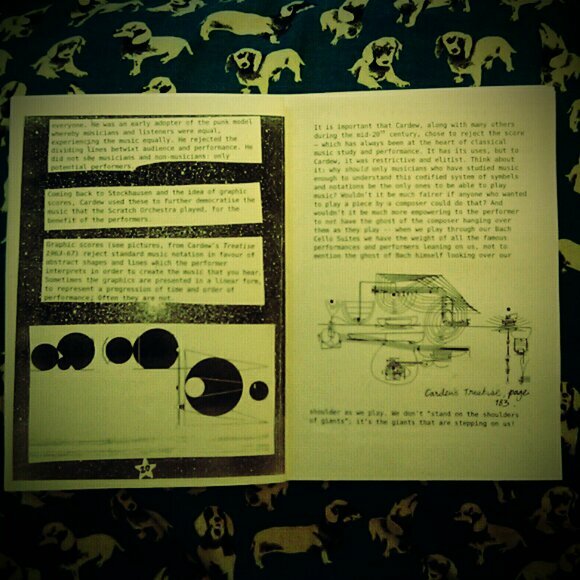 In this installment of my zine about music, music-making and punk rock/alternative/experimental string playing. The politics of calling yourself a musician: who has the right? what does it mean? Written July 2012. 32 pages (inc covers), b&w, text heavy, A5 (half sized), bound with staples. Get it from my Etsy shop! SAY NO TO BORING CLASSICAL MUSIC! 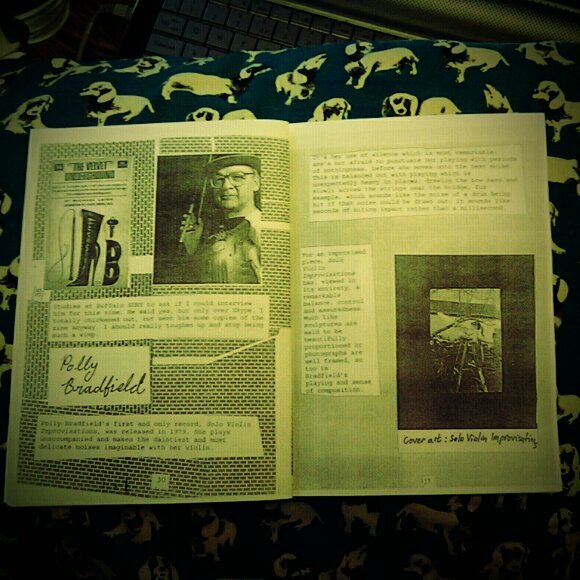 I will be tabling at the brand-spanking new South East London zine fest on 12th November, 12-6pm. This particular zine fest has the added boozy appeal and convenience of being held in a PUB — namely, the Amersham Arms in New Cross. I would like to add here that the first and only time I’ve been to New Cross was when I had an audition at Goldsmiths College nearby. I was 18 and it was the first time I had been to London (I’m from the North). I got on the fast train from Preston at 5am and spent the 3-4 hour long trip jammed between my viola case on one side and a big man in a suit on the other, unable to move my legs. In London I got on the wrong tube. Then I got on the right tube train, but my viola case got trapped in the tube train doors as they closed. Then a man with flaking skin on his hands tried to fondle my hands. I arrived at the audition sweating from the heat and traumatised, totally messed the whole thing up and failed to get into my beloved Goldsmiths. I only wanted to go there because of John Cale and the Young British Artists, anyway. Yup. I’m hoping for a more fun day in New Cross this time. Harumph. Run out of viola-based reading matter? 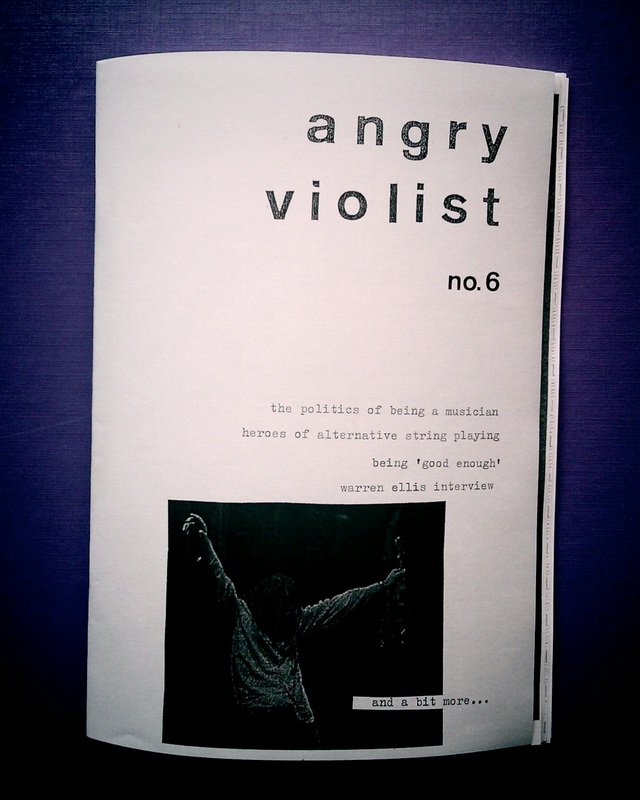 Well, turn that frown upside down mister because Issue Five of Angry Violist zine is out now! This issue has a technicolor cover and is 34 pages long This issues’s theme is (vaguely) psychology. You can get it at the Camden Zine Fest where I’ll be tabling, or from my Etsy shop.